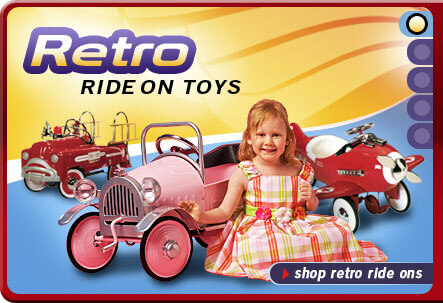 Specialist toy and collectibles supplier http://www.PedalCarsAndRetro.com has launched a new look to their successful online ecommerce store bringing an "updated" feel to the website and enabling easier interaction with their customers and followers. Joan Winter, one of the owners of Pedal Cars and Retro Collectibles, jokes that they've be working on their redesign behind the scenes for so long, that their previous web site was starting to look a little "retro", itself. Retro can mean many things to many different people, but for http://www.pedalcarsandretro.com, they didn't want their actual website to look quite so old-fashioned anymore. Joan says, "While we celebrate the antique and love the look of yesteryear, we don't want our site to look outdated in Internet years. And, having listened to what our customers wanted, we updated." 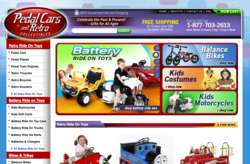 Pedal Cars and Retro Collectibles, like many online niche shops, is a small business with a few employees so it can be challenging to keep up with the demands of a web site redesign and with social media promotion. 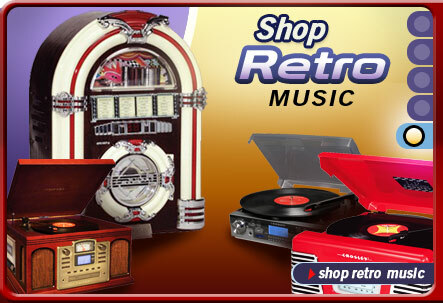 Joan says, "we are too busy matching customers to their ideal pedal car or helping them find the perfect retro record player to give as gifts and were struggling to find the time to make the changes." But, now that the launch of their new website is successful, the team plans to get active on their social media accounts and thus make even more customers happy with a taste of the good old days. 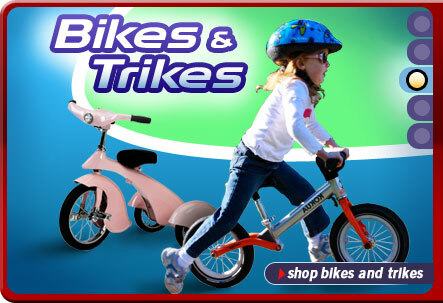 As well as their pedal cars, the store carries many other ride on toys and balance bikes and are the exclusive retailers of a special needs bike called the Caboose Trailer Bike. Other product categories such as Kids Motorcycles are so popular, the store has plans to extend these product offerings further and continue beyond their retro roots.